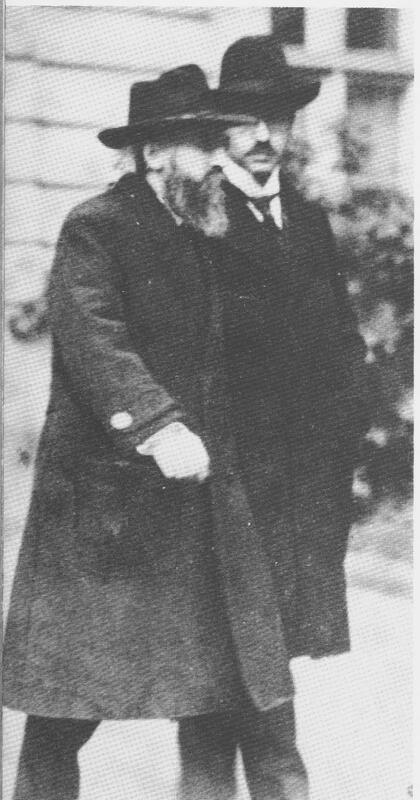 Kurt Eisner, Bavarian politician and Workers’ Council leader, in 1918. Yesterday I put up a piece about the establishment of workers’ control of industry during the Russian revolution in 1917, when Lenin granted the workers’, soldiers’ and peasants’ councils – the soviets – the power to manage the enterprises in which their members were employed. Germany also experienced a council revolution of its own 1918, following its defeat in the First World War. This was a period of immense political turmoil throughout Germany and the Austro-Hungarian Empire. In Germany, the Kaiser was forced to abdicate and his noble successor, Prince Max of Baden, granted sweeping changes to the constitution. Germany was to become a constitutional monarchy, stripped the emperor of command over the army and made the Reichstag, the German parliament, responsible for deciding war and peace. In Germany the revolution started on the 29th October, when the sailors at Kiel mutinied against an order to launch one last attack on England. With support from the dockers, they established a workers’, soldiers’ and sailors’ council. From there the movement spread through the rest of Germany. Although the councils appear to have been modelled on the Russian soviets, there was very little Communist influence in them. Most of their members belonged to the majority socialist Social Democrat Party. In many cases the movement fizzled out after a year. In some parts of Germany they acted as Citizens’ Advice Bureaux, advising working people on how to obtain better wages, conditions or housing. Only in the Ruhr did they attempt to nationalise the mines. Their existence was a matter of considerable controversy, as majority of the German Social Democrats felt that they were a threat to the parliamentary democracy they wished to create. The workers; and soldiers’ councils must remain the basis of the whole movement, and in the south the peasant councils too, which in the east would be agricultural labourers’ councils. The more the workers’ and soldiers’ councils were given an opportunity to do fruitful work the less we would have to fear the bogy of chaos. F.L Carsten, Revolution in Central Europe 1918-19 (Aldershot: Wildwood House 1988) 183. In a debate in the Bavarian cabinet with Frauendorfer, who opposed the councils, Eisner stated that giving the council legislative, rather than advisory powers, would be Bolshevism, to which he was opposed. He was instead a supporter of parliamentary democracy. This was, however, qualified in a speech he made a few days later to a conference of Bavarian workers’ councils. For, if the National Assembly is not to lead again into empty parliamentarianism, then the living force of the workers’ councils must unfold itself., The workers’ and other councils are as it were the organization of the electors. The electors must watch and be active and must not leave it to the deputies to do whatever clever or stupid things they see fit to undertake. The function of these councils in my opinion is the direct politicization and democratization of the masses…. (pp. 185-6). Eisner, however, lost the subsequent Bavarian elections and the Diet passed a Basic Law establishing the Diet as the organisation to which ministers were responsible, rather than the councils. Eisner was therefore asked to offer his recognition the next day, the 21st February. As he was on his way to the Diet to do so, he was shot dead by an extreme right-wing aristocrat, Count Anton Arco-Valley. Parliament should clearly be at the heart of British politics as the cornerstone of democracy and representative government down the centuries. There is, however, a real problem in that many people are alienated from government., especially the working classes, who feel that all the parties are the same. This is to some extent true, as all the parties have adopted the same Neoliberal policies to a greater or lesser extent. If the parties really are serious about trying to get more people to take an interest in politics, then they need to create institutions where ordinary people genuinely feel that their voices are heard, and that politicians are not left to do whatever they wish in parliament regardless of the views or the impact it will have on the electorate. And politics should be far more than simply a case of putting a cross in a box every five years. We now need an expansion of politics and democratic institutions, not the atrophied state in which they have lapsed since Thatcher.